Hands solving a puzzle. 4 videos in one file. 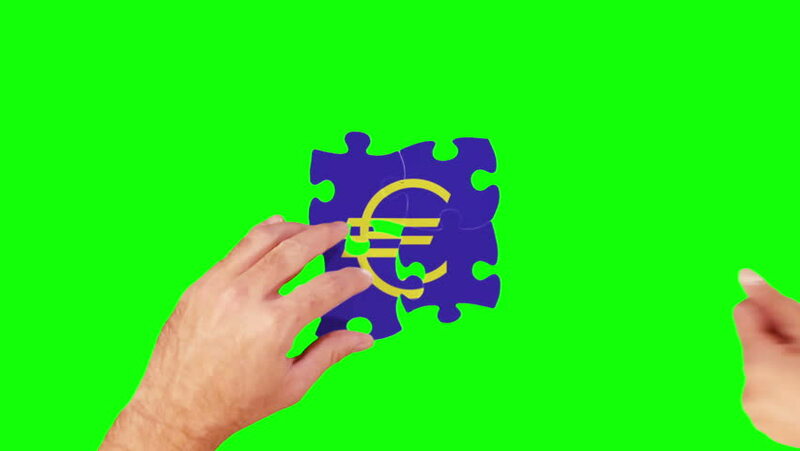 Female and male hands solving an Euro symbol puzzle. Two backgrounds green screen and wood. hd00:07Jigsaw puzzle assembly. 3D animation and gradient background. Colorful jigsaw pieces. 4k00:07Woman holding two puzzle pieces joined together. Chroma key compositing possible.